Today, it’s been confirmed that the feed-in tariff incentive for PV solar panels (photovoltaic) is closing to new applicants on 1st April 2019 within the United Kingdom. The march of progress with cheaper PV/EV. The writing’s been on the Tesla PowerWall now for a while. The incentive, first implemented as a get-you-started initiative has run its course. This has come about because of battery storage technologies, Smart EV (electric vehicle) networks and the lower costs of PV panels. Proof of PV success comes with Warrington Borough Council purchasing its own solar park to help meet its ‘energy needs’. This demonstrates that remaining dependant wholly on fossil fuels is becoming a new definition of financial waste – how times change. 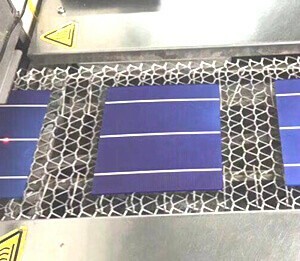 The incentive was first born in 2009 when the worldwide PV market first began its upward trajectory towards a new global dominance, yet the fundamental issue of that time was the surplus power and what to do with it? The export tariff, first implemented in Germany in the 1990’s and although a decade late, the UK’s version was an instant hit. The rush began, and PV solar panels started to become a common sight in the United Kingdom, and it was finally starting to look like Great Britain was growing towards Green Britain despite the bad press from our country’s real rulers; Rupert Murdoch and co.
Those same oil and media cartels have attempted to prevent people from unshackling themselves from the ‘centralised’ energy model and have lied to the British people and corrupted our current leadership to prevent PV’s nationwide deployment. Nevertheless, 700,000 plus PV installations later and several stepping stones down towards the ultimate goal of an incentive-free solar industry is about to be realised nearly a decade after its first inception. Every homeowner I speak too who installed during this period is overjoyed that they were astute enough to invest first. Every preconception that solar panels had endured before the beginnings of the feed-in tariff is now washed away as we walk towards the real 21st-century. Also, the oil companies knew from 1959 on … that there would be global warming happening because of fossil fuels and … that it was detrimental to life on Earth,’ so good luck Arnold Schwarzenegger who is today suing oil companies for their fraud – I digress. Time and technology wait for no man, and despite the pressures from the fossil fuel industries, the world has embraced, and new innovations such as battery storage and EV’s (electric vehicles) will grab the baton from the feed-in tariff incentive propelling PV further and faster. The future now looks suitable for PV rollout as the costs of the panels manufacture have significantly reduced since Power My Home’s inception in 2004. Battery storage is game-changing because it allows solar power usage at night and therefore negating the need for a government-based PV tariff incentive. Green energy innovators are now purchasing surplus in a more dynamic relationship that has seen before in the energy sector. The 21st-century will be looked back on as the century that PV home energy independence and EV’s becoming integrated on masse as energy companies purchase power from your panels, electric vehicle and battery storage device at peak times. Today, if you time it correctly, you could be one of those special people who benefit from both. Hurry, limited installation windows are open between now and the closing date. A new era of incentive-free PV solar panel deployment kicked off with the Clayhill solar park engineered without the feed-in tariff subsidy. Additionally, the US is currently building a massive 500 MW solar park, and I predict that records will continue to be broken around the world, just like skyscrapers did in the last century. The merging of technological PV advancements, the high costs of energy and the falling prices of PV technology have become a trilateral point of interest for anyone looking responsibly at the next thirty years of their lives. A golden dawn has opened up technologically. In fact, Germany’s aforementioned feed-in tariff pioneering and PV engineering has resulted in so much surplus power, that they give it away nationally to they’re neighbouring countries for free. The real power of PV to transform lives and nations economies as subsidy-hungry dinosaur peddlers become secondary providers, not the primary. The feed-in tariff incentive for PV solar panels is closing to new applicants on 1st April 2019 and should be viewed as a new chapter in the story of a solar-powered and more civilised; civilisation. The doorway is open for homeowners, families and whole nations to walk through into a sunshine-powered future.